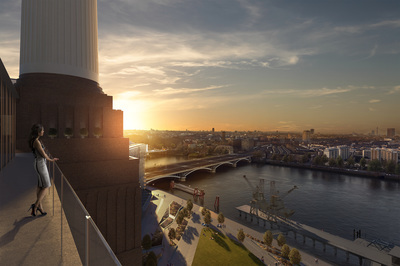 Battersea Power Station is a global icon, in one of the world’s greatest cities. 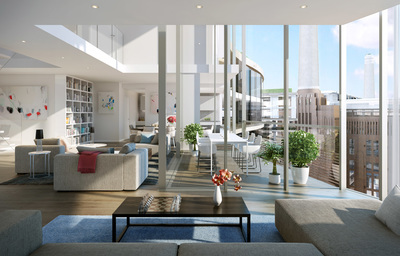 The Power Station’s incredible rebirth will see it transformed into one of the most exciting and innovative new neighborhoods in the world, comprising unique homes designed by internationally renowned architects, set amidst the best shops, restaurants, offices, green space, and spaces for the arts. 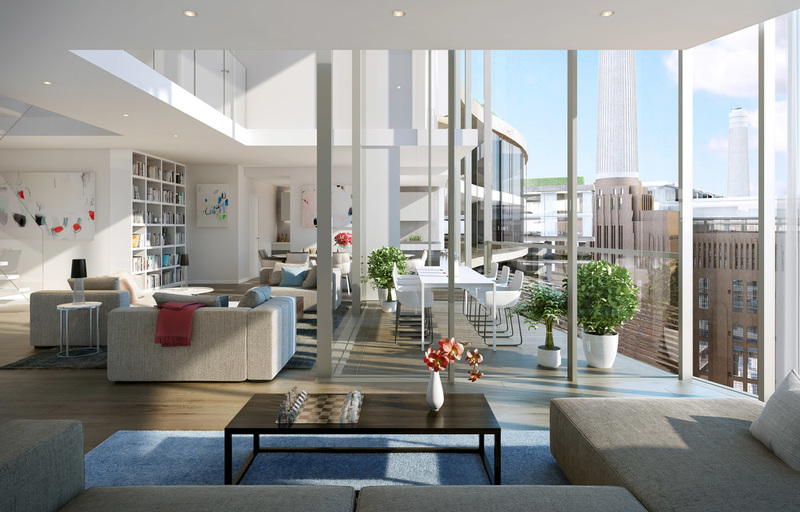 The iconic backdrop of Battersea Power Station has formed a versatile cultural canvas. From Pink Floyd to Batman, fashion catwalks to art from the Serpentine Gallery, the venue was, is, and always will be a focus for music, film, fashion and art. 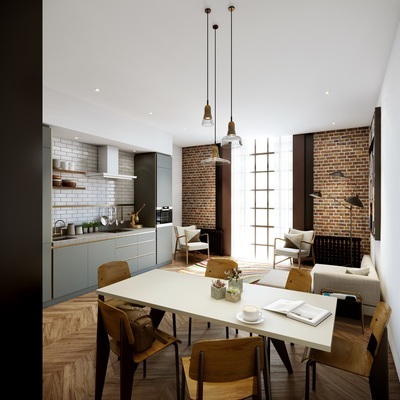 A short walk from Chelsea and Sloane Square, Battersea Power Station occupies one of the most accessible locations in London. With 450 metres of river frontage It is set to become the center of the new Nine Elms neighborhood. 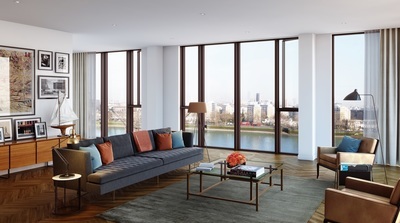 Nine Elms has attracted billions of pounds of investment, which is seeing the creation of a vibrant new quarter, defined by a linear park, home to the New Covent Garden Market and the new American and Dutch Embassies. Nine Elms will see over 18,000 new homes served by an extension to the London Underground with two new Zone 1 tube stations. 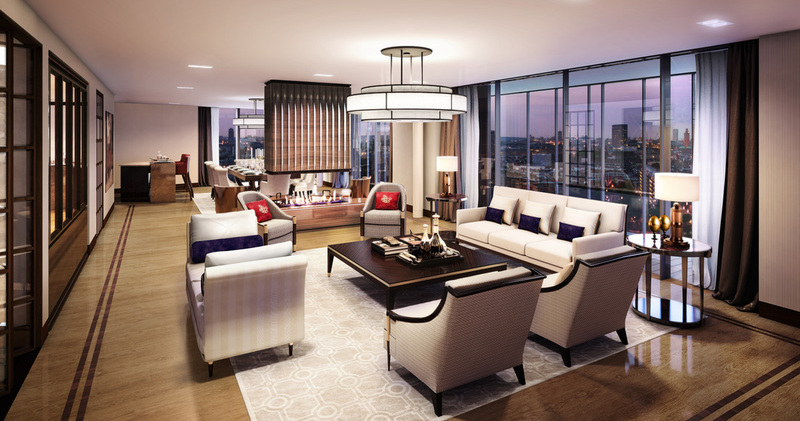 A limited number of exclusive penthouses, with expansive outdoor living spaces and spectacular views, with interior design and specification by renowned LINLEY Interior Design, utilising the finest materials, craftsmanship and innovative designs. The residents of Circus West will also have access to a c. 5,000 sq ft private residents’ club with outdoor riverfront terrace, a private bar and dining space, library, business centre, private cinema and a host of additional amenities. 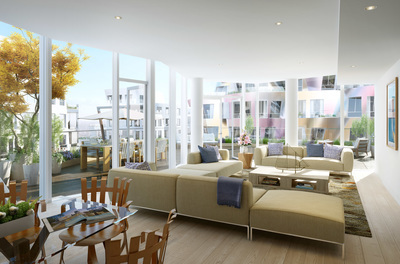 Circus West will also have a private resident's garden and waterfront restaurants, gym, pool and spa. 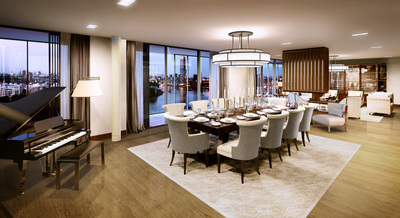 Few homes in London will have a more impressive setting or a more famous address. 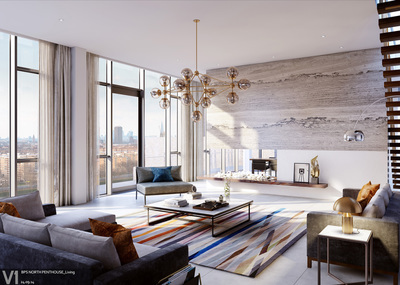 The new homes in the Power Station will be split between three neighborhoods, all with access to stunning rooftop gardens and interiors designed by Michaelis Boyd Associates – a practice famed for elegant, simple design. 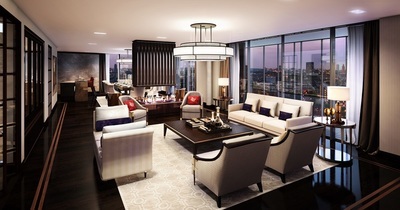 The homes sit where the great Switch Houses once harnessed and delivered energy to the residents of London. 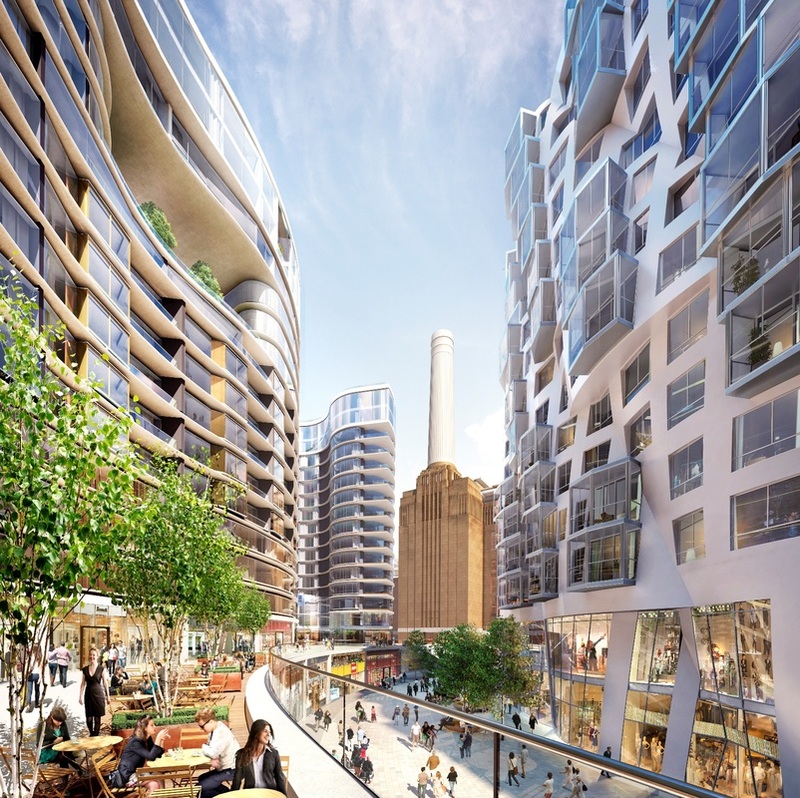 The Power Station has over 80 shops, 15 restaurants, a food hall, event space, cinemas, offices and hotel, truly a place to live, to learn, to work and to play. Framed by world-class buildings by Foster + Partners and Gehry Partners, Electric Boulevard will be a truly special place to make a home and an exhilarating new urban landmark. Battersea Roof Gardens, designed by Foster + Partners, on the west of the site, provides over 615 homes, residents’ lounges, a healthcare facility and hotel, as well as two stories of terraced retail. 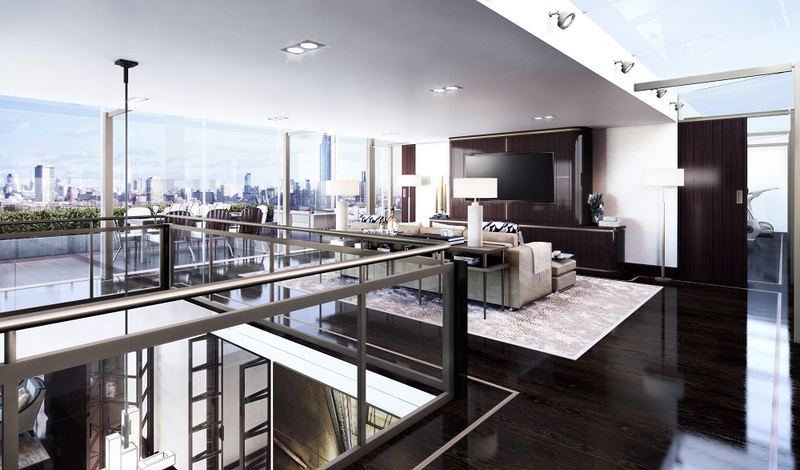 The design is crisp and white, with beautifully colored metals and glass. 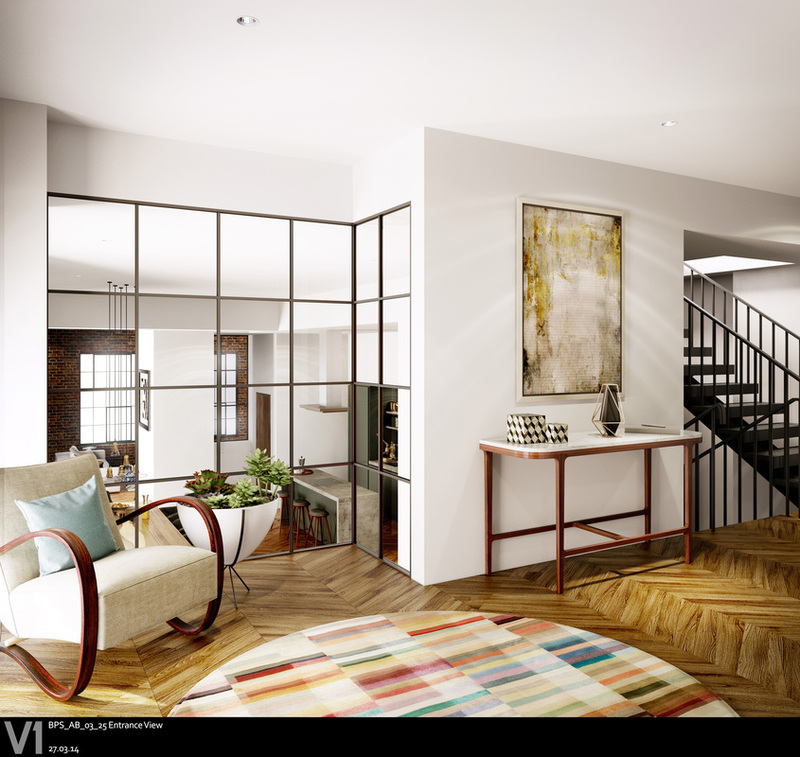 The homes will be styled in a subtle 1930’s theme that has been adopted from the Power Station. 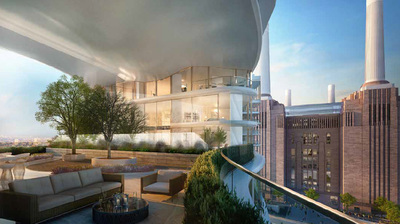 Residents will be able to enjoy stunning roof top gardens designed by James Corner, who also designed The Highline, New York. The top of the entire building is given over to this vast roof garden. 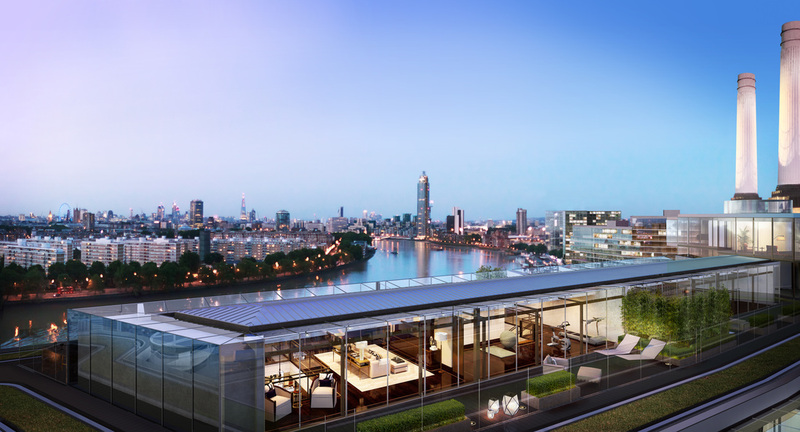 One of the largest roof gardens in London, with views of Battersea Power Station and amazing river and cityscape panoramas. 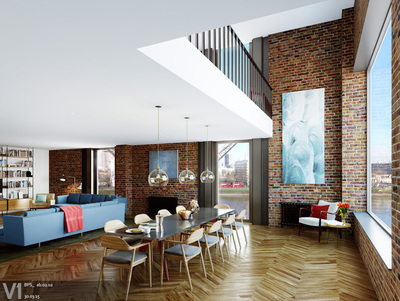 On the other side of Electric Boulevard is Prospect Place, the first permanent residential development in the UK to be designed by Gehry Partners. The design of Prospect Place was inspired by the billowing sails of ships. The undulating façade of the buildings means no two homes are the same. 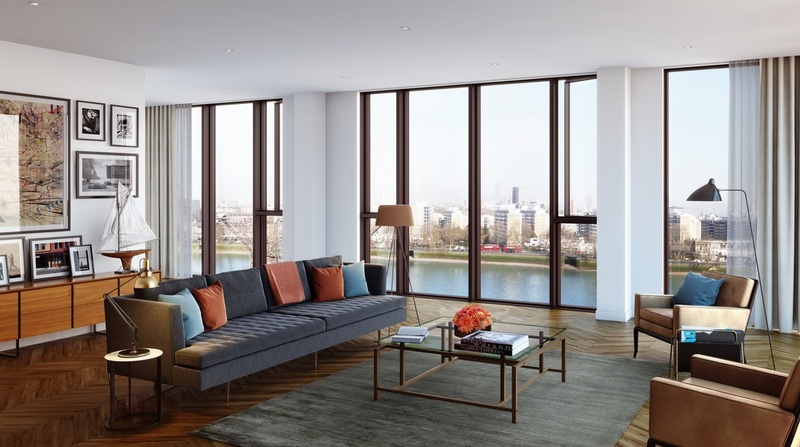 This is Gehry Partners first permanent residential development in the UK and will become an architectural landmark for London. 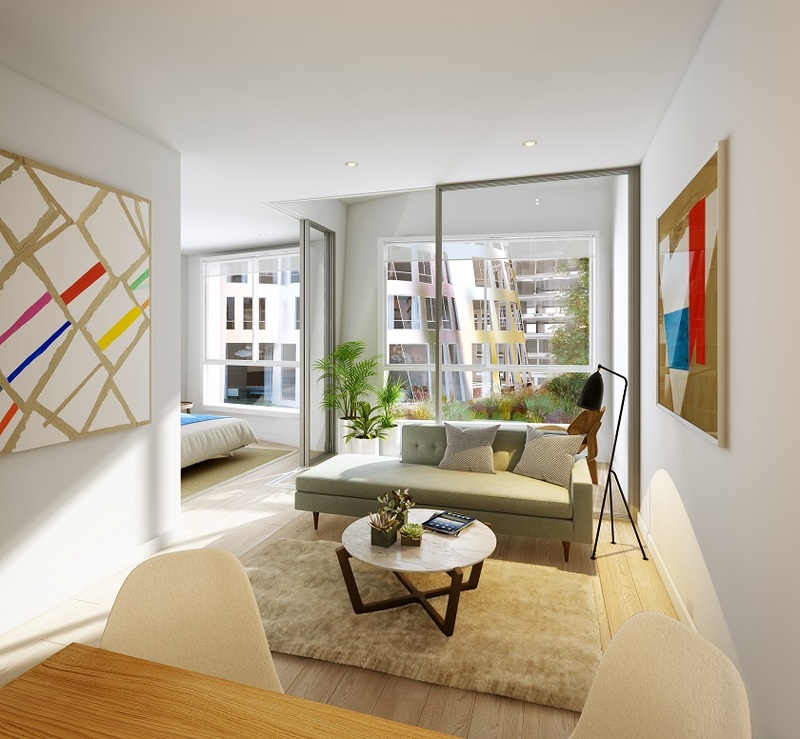 Each individual building has its own personality and style and all the homes come with winter gardens or their own terrace to maximise the light and views.Between the five buildings, there is a beautiful private garden for residents, reflective of a private London square. Residents will be also be able to enjoy c. 7,000 sq ft of facilities within the Gehry Partners’ Flower building, at the center of Prospect Place. 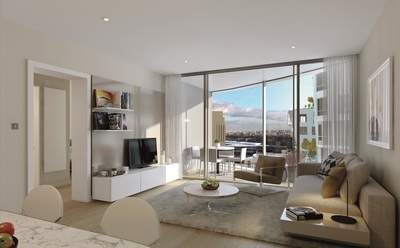 Proposed amenities will include extensive social, lounge, library and work spaces, spilling out onto the residents’ gardens and overlooking Electric Boulevard below. Private rooms will be available to hire; including a large chef’s table dining room, screening room and meeting rooms. 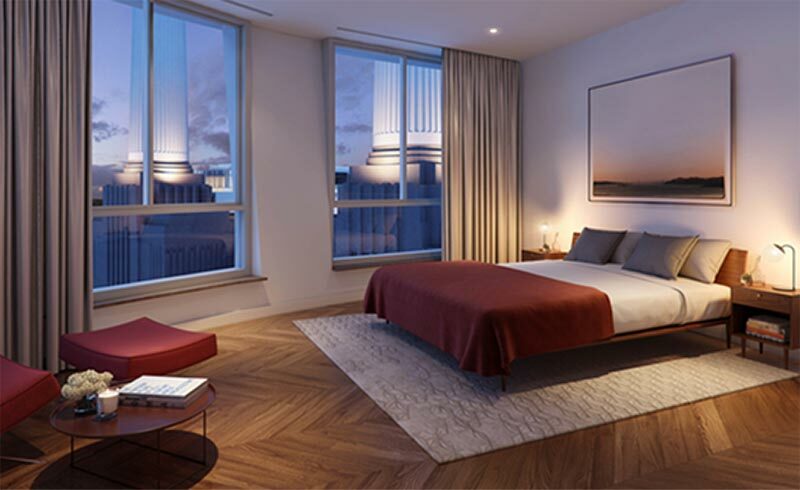 There will also be a holistic yoga studio and treatment rooms, as well as hotel rooms reserved for residents to hire should they need additional guest accommodation. Containing a further 690 homes, it sits above two floors of retail units and restaurants.